The wellbeing of all our CMC delegates is very important to us to ensure a happy and smooth-running conference. In light of recent events, we are working with our venues and security to make sure that we keep you safe during your time with us. 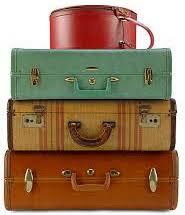 Therefore we ask you not to bring suitcases or luggage into any of the session venues or the keynotes. Keep it to a minimum – your delegate bag and a handbag is fine, but keep your luggage safe in your hotel or in the cloakroom. We will have our cloakroom available free of charge at registration as usual, however security and spot checks will be in operation. Please leave an extra few minutes if you’re planning on using the cloakroom so you don’t have to rush to get to a session. And don’t forget to pick up your luggage before the cloakroom closes! We thank you in advance for your co-operation. And look out for our wonderful CMC volunteers in green t-shirts who are there to help you. If you have any questions please contact us.